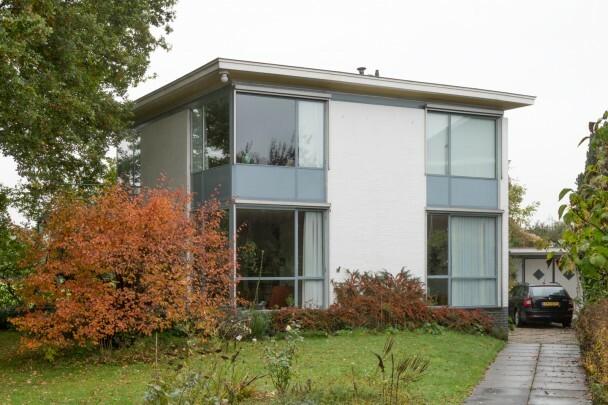 The house that Piet Elling designed in 1936 for his brother-in-law Nijland is set diagonally to the road. Its compactness comes from the client's limited financial means. The flat roof, large steel-framed windows, light-filled interior with modern furniture and white-rendered exterior are typical of pre-war functionalist architecture.